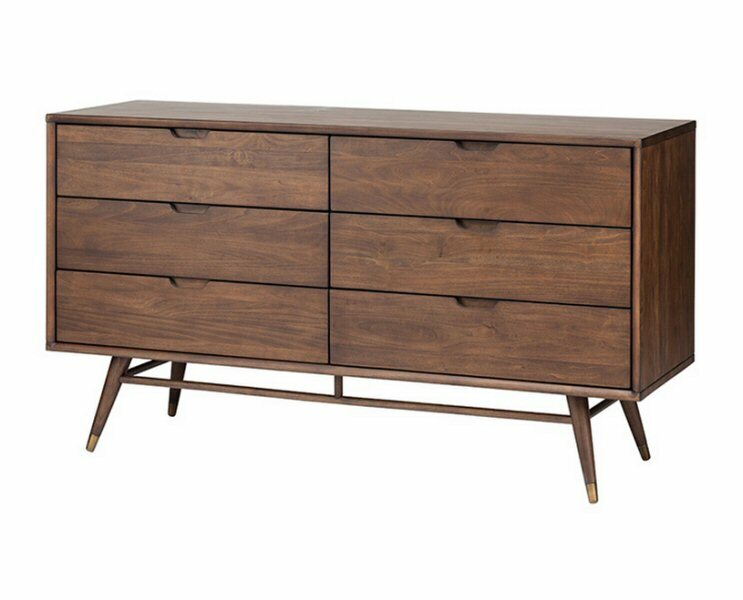 Nuevo Living Daniel dresser is a fine interpretation of classic mid-century design. The six drawer hardwood dresser is fitted with soft close hardware and elegant turned wood legs featuring brass leg caps. The Daniel is constructed using American poplar hardwood.